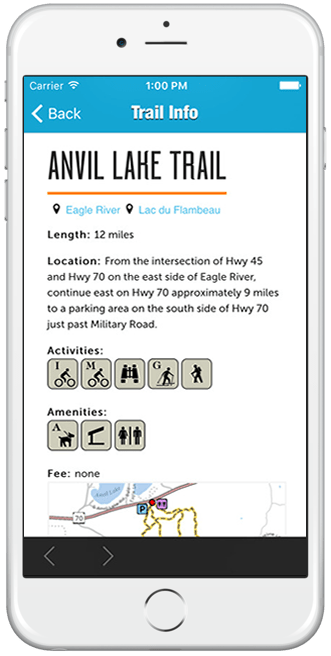 Manitowish Waters Bike Trail Inc.
Use the app to find trails that match your activity and ability. 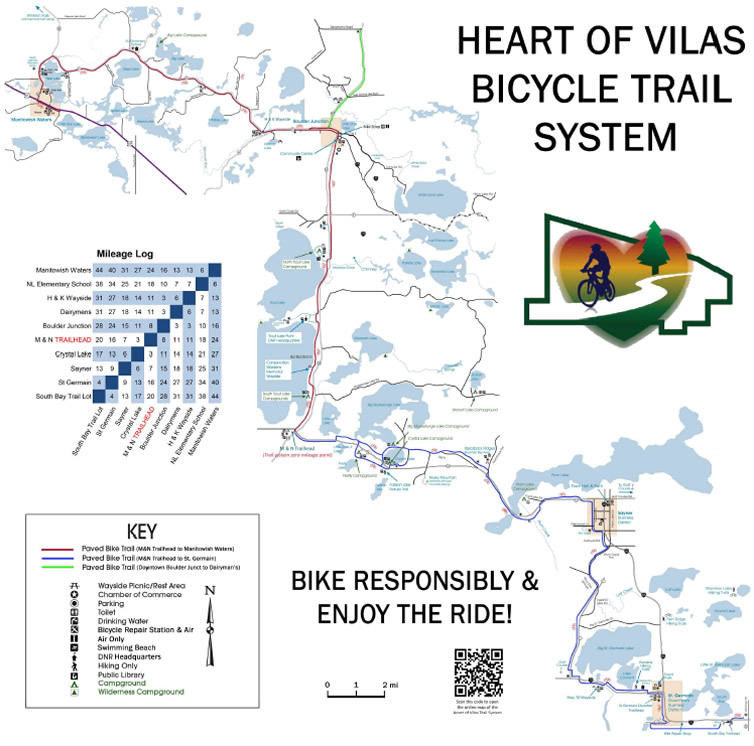 See maps for 61 different trails for hiking, biking, paddling, skiing and more. Find your location on the trails—even if you don’t have access to a cell signal. Download the free app now and start using it right away.